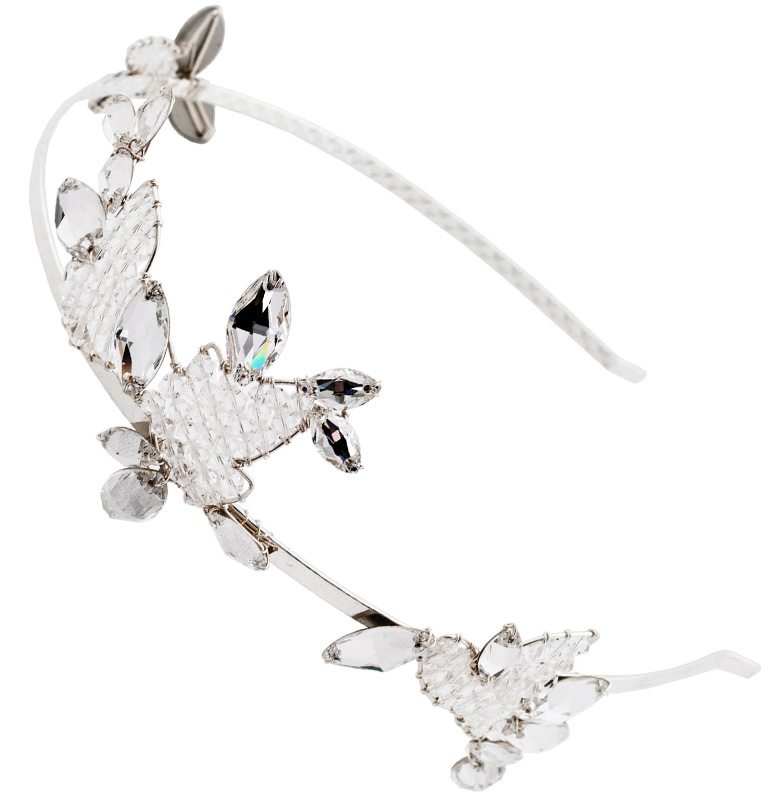 Perfectly described as feminine and romantic the Tiana headband sits beautifully either way around on the head. 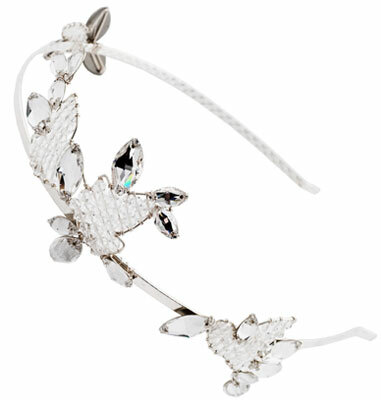 Designed with three separately beaded floral pieces in flat Swarovski crystals and small Swarovski beads. Woven together with Silver plated wire on a silver plated band, Tiana is a fairytale piece that is easy and comfortable to wear with most hairstyles.